Does the world leave you feeling overwhelmed? It does to me. There are times when I’m assaulted by noise, images, and smells. New places and faces. It can also be feelings, a whirlwind of sensations that I can’t control. I’m too sensitive to life it seems. I have had to suffer like this all my life. Anxiety and a lack of flourishing have been the result. I often felt there was something wrong with me. I did my best by avoiding it. But it turns out I’m not the only one who feels this way, and we now have an idea of why. For years, scientists have been looking for the reasons why some people thrive in adversity and others don’t. Why some of us have problems with depression and anxiety while others don’t. When it comes to genetics, the evidence suggested that some of us were born unlucky. Certain individuals have specific forms of genes that make them more susceptible to mental illness. 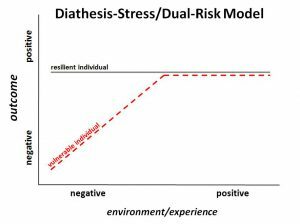 It was called the Diathesis-stress model. The hypothesis implies that some of us simply have ‘bad genes’. Because of the defective genes some of us had a greater likelihood of mental health problems. However, a newer theory is starting to replace this notion and give us a better understanding as to why some of us seem to suffer the world. 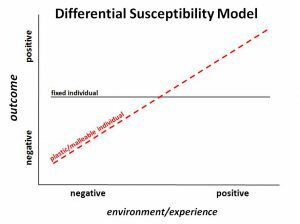 The new theory seeks to explain an individuals vulnerability by showing that it’s a combination of nurture and nature. The theory which was first published in the journal Development and Psychopathology entitled ‘Biological Sensitivity to Context‘ which took concepts from Swedish culture to describe two types of children. Maskrosbarn, or ‘dandelion child’. Who like their namesake can thrive in any soil reasonably well. They don’t suffer ad much when things are going badly either. They are hardy but unremarkable. The other type is the Orkidebarn or “orchid child,”. These are more sensitive to their environment. Problems in upbringing or a stressful environment can leave them with mood difficulties and lack of thriving. 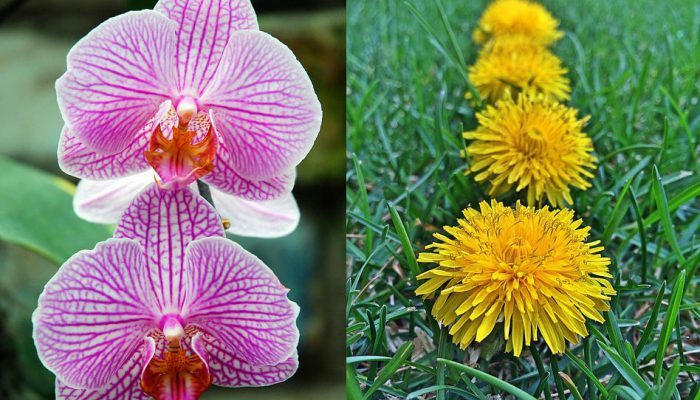 The most interesting thing about the theory however is that with the right upbringing and environment, Orchids can thrive beyond of the scope of the Dandelion types. In scientific terms, it’s what’s called the Differential Susceptibility hypothesis. It points out that there are both advantages and disadvantages to being sensitive. Yes, you are more influenced by the world around you. Which will be upsetting, and leave you feeling trapped. But it’s also a source of great insight. Seeing details, and feeling deeply means you can connect to others on a level non-sensitive types find difficult. Those ‘bad’ genes, vulnerable people, when placed in the right circumstances can flourish like no one else can. If you are a sensitive type, or know someone who might be. For those of you who feel overwhelmed by the world. Or if you know of someone who seem to be sensitive there’s a book to help explain it and now a documentary film, Sensitive the Movie. The film uses personal stories, acted scenes and conversations with professionals to explain the trait of High sensitivity. This trait is something more of us need to understand. So we can educate children more effectively, find better jobs and recognise that people with this trait are not flawed. But rather have skills that can prove to be valuable. Some of the points I picked up from the film. It may seem like these two traits are the same thing. Both types of individuals avoid noisy places and people and instead pursue solitary interests. But it was made clear that these two traits are different because there are extroverts who also have the trait of high sensitivity. D is for deep processing. The basis of the trait itself. Brain scans of sensitive types show that their their brains are more activated by outside stimuli than non sensitive types. O is for overstimulation. Meaning it a lot easier for sensitive types to be overwhelmed by the world. E is for emotional reactivity and empathy. Sensitive types respond far more to the emotions of others and feel more in general. S is for sensitive to stimuli. Which points out sensitive types are very responsive to sights, sound smells and other stimuli. It all means that sensitive types have a hard time shielding themselves form the world. It’s means adopting self care routines like stress reduction, writing, creative pursuits, reading as a way of keeping a balanced life. Hopefully society will change to help accommodate such individuals better. Because up until now many sensitive people have been labelled abnormal, difficult, highly strung, problematic and more. To see if you are sensitive a questionnaire is available. A metaphor I like to use us The Soil and the Seed. It explains that everything including ourselves exists in a context, an environment. Just as the metaphor implies, it’s not nurture or nature that influences our chances of success or failure, but both. It makes sense when you look at gardening as a comparison. To make a plant grow and thrive it needs an environment conducive to it’s growth. The right soil, sunlight levels, moisture, etc. It’s the soil and the seed match-up, the relationship, that makes a plant grow or wither. Because of this, we should perhaps rewrite our understanding of some types mental illness. Before these were seen as innate, unchangeable flaws. This new theory suggests a better more nuanced understanding. That depression, anxiety, shyness are all perhaps the wrong labels to use. Instead, perhaps you’re just the sensitive, delicate type that has grown up in poor soil. When speaking about ‘soil’ it can mean the extent of your social circle and upbringing. But also sensory inputs like sounds, smells, noise. But I see that ‘Soil’ can mean much more. All these and more can help or hinder our growth, affect our well-being and influence our moods. We need to stop thinking of things in terms of nature or nurture. It’s both! Second, we should stop labelling ourselves or other people in moralistic terms. Such as weirdo, psycho, retarded. Because it’s not just our genetic code that makes us what we are it’s also our circumstances. Which we have only a limited control over. We don’t have a choice about where we grow up, who our parents are, our genome, the people we work with. So much is beyond our influence. The same for our genetic code. These genes, these ‘sensitivity to environment genes’ don’t make you good or bad. Nature doesn’t make such moralistic judgements. I like to think of them as potential. To thrive or flounder will depend on your circumstances and the choices you make. Thirdly, and practically. For sensitive types we need to take more care with our surroundings. Be wary around highly stimulating environments like parties, open plan offices, extroverts, negative soul-sucking individuals. We need to take better care of ourselves and create an environment better suited to our own growth. To create a nourishing environment. Putting ourselves first a little more and focus on getting our needs met. Such as writing, art, reading, a small circle of friends, contemplative practices. It’s perhaps no surprise that sensitive types are often drawn towards creative pursuits like writing and art. Or empathic professions like counselling and psychotherapy. Here they get to make a difference without being overwhelmed by it. The lesson here is we need think differently about those will mental health problems. No longer thinking about them as cursed, or just being difficult. But people who have vulnerabilities, who also useful skill to offer. If you are an orchid type, a sensitive soul I’d like to hear from you. Feel free to comment below and tell me how your sensitivity has affected you. What is anxiety? Why do we have it? Wonderful article, Richard, very well thought out and expressed and it has made me think deeply about the subjects you’ve raised. Self nurture is key to our mental, physical and spiritual health. It’s interesting about the malleable and fixed mind. I’ve read previously that if a child is told by a parent they’re ‘clever’ they will become fixed. Whereas if the parent says, ‘you’ve worked hard for that’, or something equivalent, they will have a more malleable mind. Hard work is key to success. Some people are lucky, but the majority work very hard to get where they are. Although what is success? We can allow ourselves to be at peace if we stop resisting and trying to control everything around and within us. Is it not successful to be at peace with oneself? I think that might be the greatest success of all. Yes! The bit about the child. I learned it too from Carol Dweck’s Mindset book. Understanding that natural talent can only account for so much, success is significantly based more on work. I wrote a post on that too. To true on what you said at the end. Defining success for ourselves. Difficult when the world around keeps telling us what we should be aiming for. Our direction should come from within. Thanks Rob. I like your other post, Richard. Great stuff again. And yes, success is a funny thing. I think the main starting point to any success is to find out where we want to go, what we want to be or do. Once we know that then the hard work commences, and if we persevere we cannot fail to get there. We do the best we can and achieve success for us, even if some may not see it as success, we will feel and be successful, and as we come to realise our success, peace will surely follow as we have done our best. At the end of the day what more can someone ask? So maybe, breaking it down to it’s simplest form, Hard Work = Inner Peace. By the way Richard, would it be okay to put a link on my website to yours? I really like your deep thinking and it would be nice to share that with others. My site’s http://www.sancturian.com, I’m just changing hosts, so it might be down for a couple of days but it’ll be back in short order hopefully. Interesting ideas Rob. Not sure I totally agree. Sometimes the hard work is in finding out what you want. I has been a struggle in my life due to this. Recently it was to be a writer, now I’m focusing more on my art. Still not sure what I’m aiming for, but the hard work to get there started a long time ago. I still have many doubts about where I’m going. Uncertainty reigns as always with me. Peace never will come because there’s always one more thing to work towards. It’s what I learned from Buddhism. Desire never goes away, nor does the suffering it creates. To me peace is coming to terms with the uncertainty. Anyway, my website. I would be very happy if you would link to it. Thanks. Hi Richard, thanks regarding your site. I’ll add the link shortly. Also, I think you misunderstood, or I didn’t explain myself clearly enough which is more like it. I agree the hardest thing sometimes is finding out what we want to do, or what our purpose is, although these two things may be the same, but I think what we want to do may not be our purpose in life and vice versa. I hope you’re able to find your peace, wherever or whatever that may be. Speak soon. Rob. Hi Rob. I could have been my misunderstanding. Still I feel lots of people are like myself. On a path that doesn’t feel right to them. As for me art and writing do feel more right for me. It’s just that doubts always linger about my ability to learn and find success. Talk to you later.